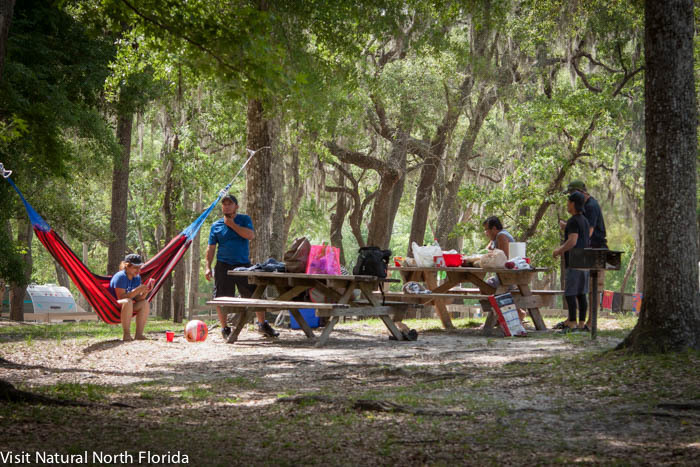 Gilcchrist blue Springs State Park is the latest addition to Florida’s state park system. 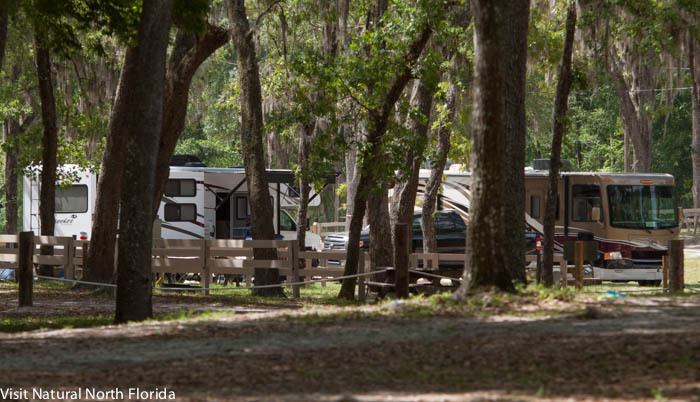 The 400-plus acre park was previously privately owned, and in 2018 it was sold to the state of Florida. 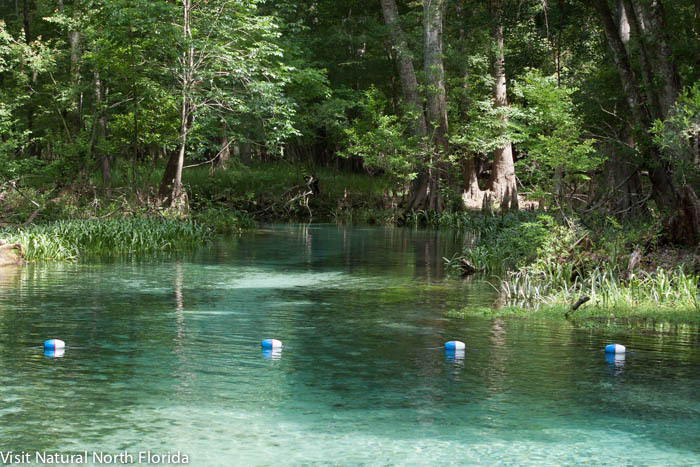 Located just a short “run” from the Santa Fe River in Gilchrist County, the main spring is a second-magnitude vent pushing out about 44 million gallons of clear, 72-degree F, water a day. The main spring is suitable for swimmers of all ages, with a sand beach and a diving platform. 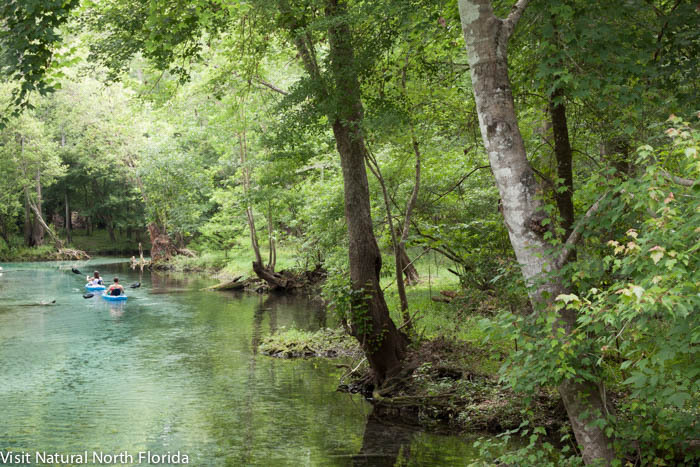 A paddle craft launch is located just outside the spring, in the spring run. As this is one of the region’s best values, we advise arriving early. The park has strict limits on the number of visitors admitted each day. 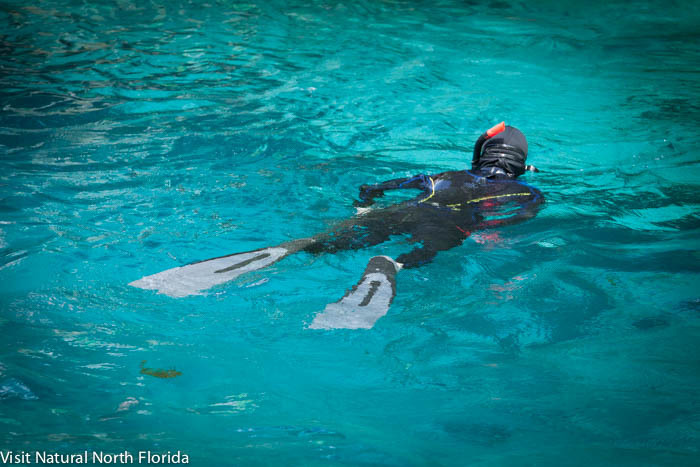 The main spring is a popular destination for snorkelers. A secondary spring, Naked Spring, is just a few hundred yards from the busier main spring. 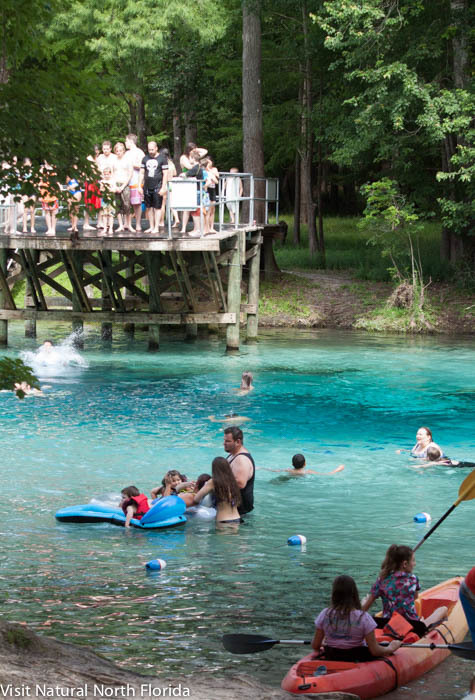 Paddlers must stay outside the rope barrier at both springs. The shady grove at the park is perfect for family gatherings. 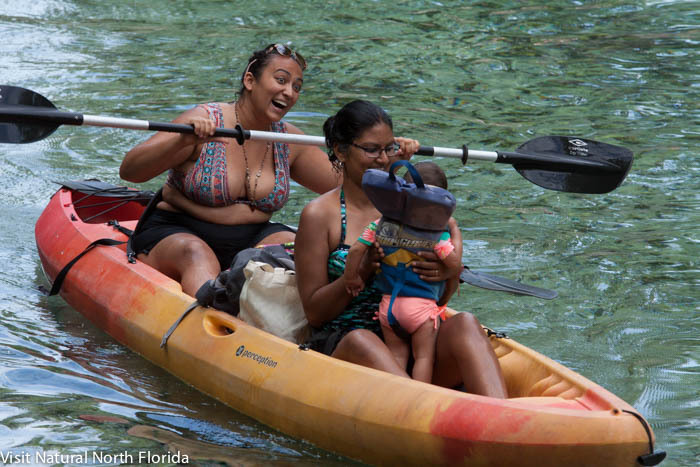 Paddlers, using rental or personal craft, can explore the 1/4-mile spring run from the main spring to the Santa Fe River.